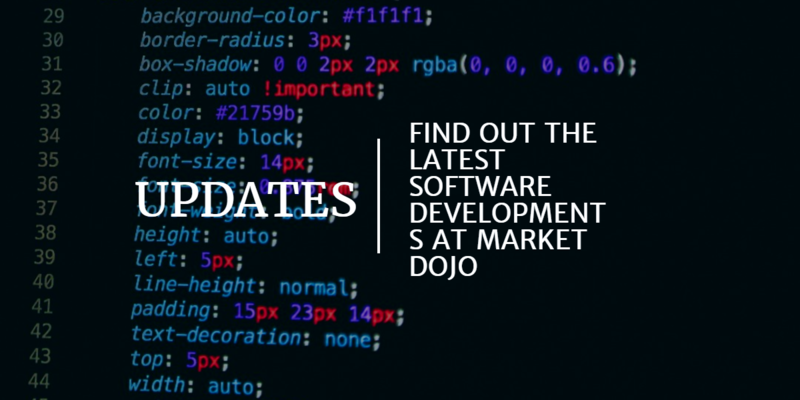 Market Dojo’s Lot Matrix has arrived! Last weekend we were hugely proud to have made one of our biggest software releases since our incorporation four years ago. The project has taken our dedicated team over 12 months to complete, pulling out the stops to make it happen in time for eWorld on Wednesday (24th September 14). Advanced Lots helps you run complex tenders easily. Should you find yourself asking your suppliers for cost breakdowns, Total Cost of Ownership, Bill of Materials, Quotation Analysis Forms etc., you can build the entire bid sheet online to centralise all the responses into your desired format. No more shall you have to receive from your suppliers botched Excel bids with partially completed information. Instead Advanced Lots will ensure the quotes you receive are fully completed and qualify against the budget costs you can choose to enter. We’ve invested a lot of effort into making the design as user-friendly as possible, with a great deal more to come. 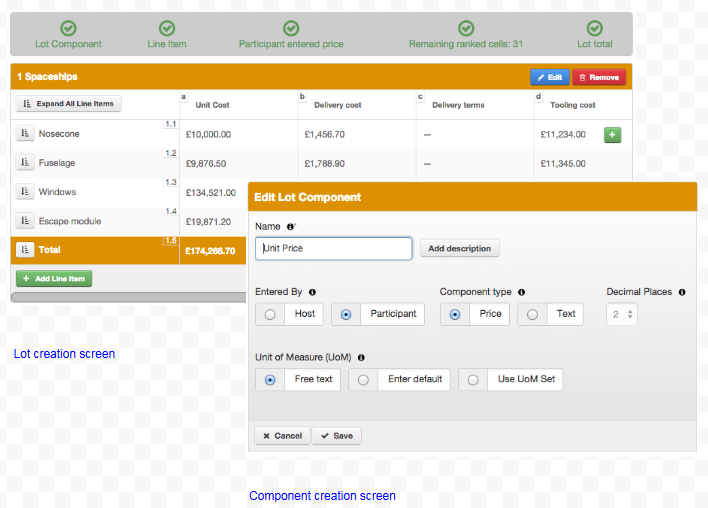 Online you can construct bid templates that consist of many line items, multiple price and text components and even bespoke total or sub-total calculations. There’s a checklist for each Lot to ensure you’re on the right track. We’ve also added the option of increasing the number of decimal places for price fields to 6 for those very low value bids. 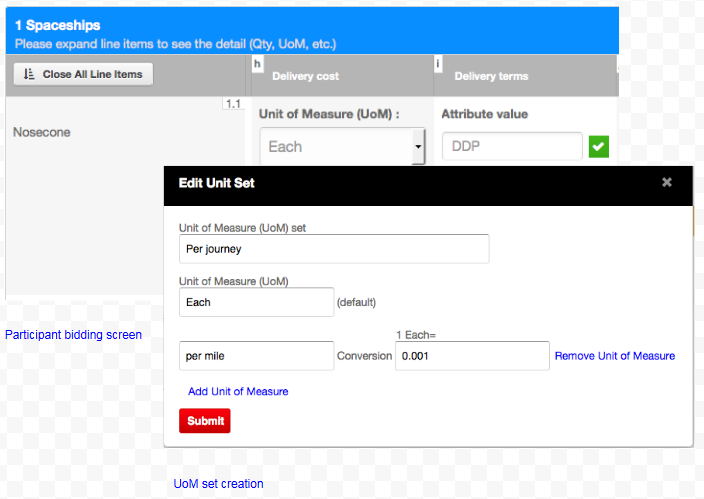 Advanced Lots introduces the concept of ‘Unit of Measure Sets’, which allow you to group your own Unit of Measures (for example: gram, kilogram, tonne) and specify their relative conversion ratios so suppliers can to bid in their preferred Units. The software will then convert those bids into your preferred unit of measure so you can compare all bids evenly. This is particularly useful where you have suppliers that export bids from their own systems and are unwilling to alter them (the energy sector for example). Coming soon we shall also be adding in the same principle for multiple exchange rates to allow your suppliers to bid in their own preferred currency. We have enhanced our Lot upload via Excel to also handle the upload of Advanced Lots. You simply add the components (essentially column headers) that you want, download the Excel template and populate it offline. When ready, save the template and upload it to complete your Lots. We have used the same easy Excel download/upload feature for bidding as well, so it’s no trouble to have many hundreds of line items. All results gathered online can be exported at the end of the event into Excel for your own records and analysis. 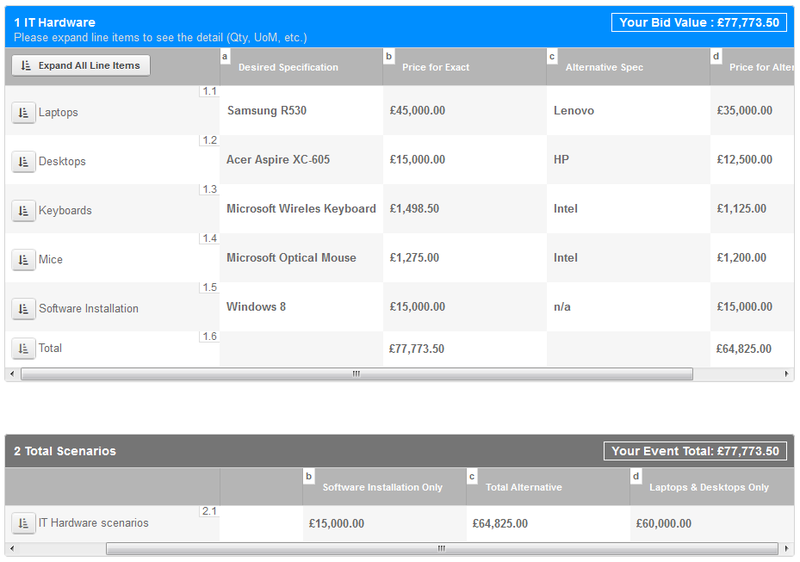 We previously released our revamped user interface for comparing supplier bids side-by-side, in anticipation of Advanced Lots. Now it really comes into its own as you can expand the line items within each Lot to see the leading bidder(s) across the items, as well as expand the supplier to see the multiple price or text components that they have offered you. Advanced Lots will give you an understanding of the relative strengths and weaknesses of each proposal to help you reach your decisions faster. You can choose which individual price elements you wish to rank suppliers on and whether you want the rank to be made visible to them during an eAuction. Therefore you can decide what level of feedback you wish to provide. We appreciate that sometimes making the award decision can be challenging, especially when you have multiple Lots and multiple suppliers. Add into this the situation of multiple line items and price components and it can become very opaque. And so we’ve created the concept of the ‘Event Total’ where you can build your own formulaic scenarios based on combinations across the Lots and even the line items and price components within. These are made visible to suppliers, although you choose whether you wish to rank and share the rank with them. Therefore Event Totals act as an extra guidance to the suppliers on the value of their overall proposition, especially if your scenario includes a year-on-year cost down or perhaps amortisation of tooling costs. Simplicity is sometimes still the best option. 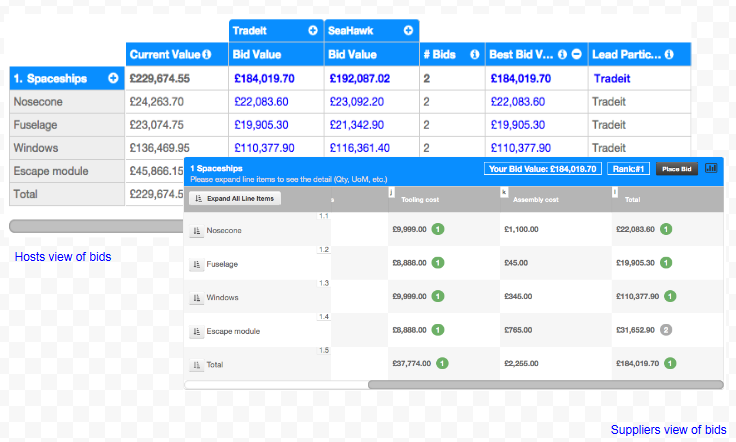 And so we’ve built a pioneering approach in the tool that lets you gather the detailed bids from suppliers during an RFQ / Qual Bid process but run the eAuction at a Lot level instead. Suppliers will give you a single bid for all items in the Lot and will be given their position / lead bid / next bid round accordingly, depending on the eAuction type. Once the eAuction is over the items are once again unlocked for suppliers to re-complete their detailed breakdowns. The software will automatically check that the value of their detailed bid matches their final eAuction offer, saving you the head-ache of trying to match up offline Excel files. Advanced Lots is simply a new approach to requesting additional detail for supplier proposals. It can be used with all of our previous Event Settings, such as weighted tenders/eAuctions, Japanese eAuctions and sealed bids. And for those of you who wish to continue using Simple Lots and offline Excel bids, you’re more than welcome to ignore all of the above and continue to do so! We hope you enjoy the new release and if you’re planning to attend eWorld, please do stop by our stand and ask us for a tour of the new features.